We’re about to tell you where to stay in New Orleans. New Orleans is known for its distinct music, unique lifestyle, and Creole cuisine. Around the globe, people travel here to attend the yearly festival celebrations and carnivals, the most famous being Mardi Gras. Of course, we’re talking about the gorgeous city of New Orleans. When you hear someone mention New Orleans, it’s hard not to associate it with hospitality. Everyone treats one another like they are lifelong friends, and doors are almost always open to hosting guests. 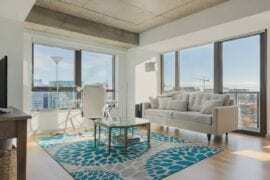 Which is a perfect reason to explore Airbnb as an accommodation option when visiting. 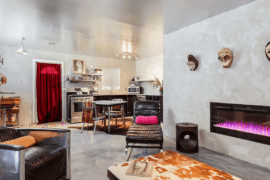 These 8 rentals truly embody “Southern Hospitality,” welcoming you with New Orleans spirit and vibe. 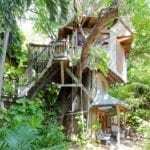 All of the listings are under $250 per night, but are sure to amaze! 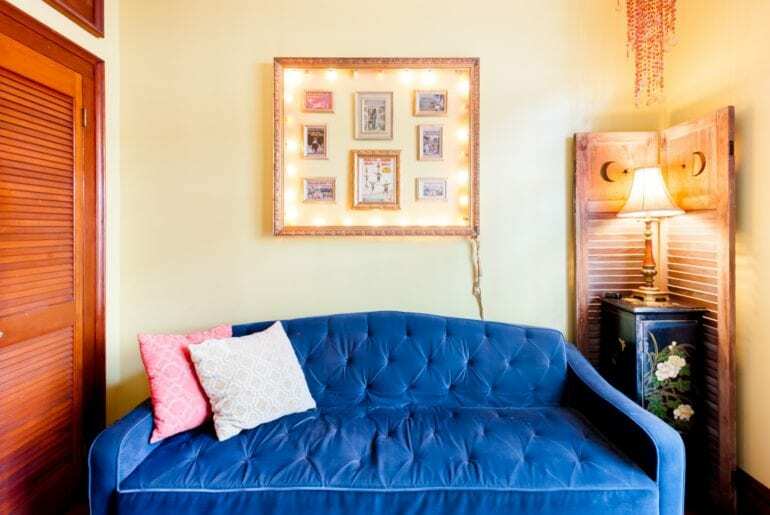 You’ll love the eclectic style of this artsy home near the French Quarter. In the middle of all the Marigny neighborhood excitement, there’s always something going on to satisfy every personality! Head to the French Quarter for the hottest Bohemian musicians, Jazz clubs, thrift stores, and coffee shops. For more ‘lax nights, hang home and unwind on the private balcony or outside courtyard. 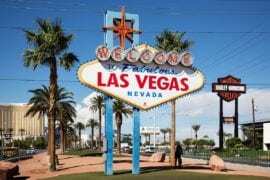 Rentals start at $60 per night. This spacious studio is a fantastic option for solo travelers or couples who are looking for a cozy stay. 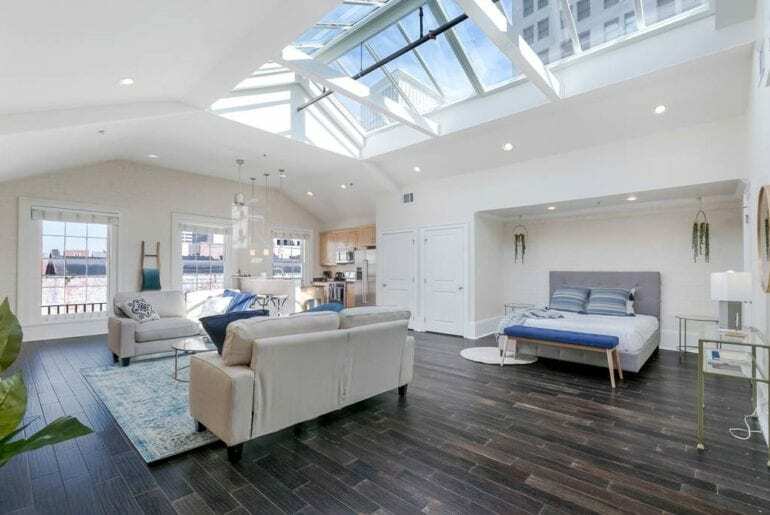 From the enormous skylights to modern decor, you’ll feel as though you’ve transported into a Home-style Magazine. You will find anything you could ever imagine in the Central Business District – except boredom. Within walking distance are some of New Orleans’ best dining options and shops. Starting at $64 per night. If you’re looking for a comfortable, affordable place to stay during your trip to New Orleans, look no further! This two bedroom condo with a private balcony is a great option for those looking for a central location. Situated in the Lower Garden District, you’ll be near the French Quarter, Superdome, the Cruise Ship Terminal, and Mardi Gras World. You also have a fully equipped kitchen and laundry, making you feel right at home. Pricing starts at $99 per night. This charming cottage has been described as a “dollhouse” by many guests. Convenient access to public transportation assures you can move around the city with ease. 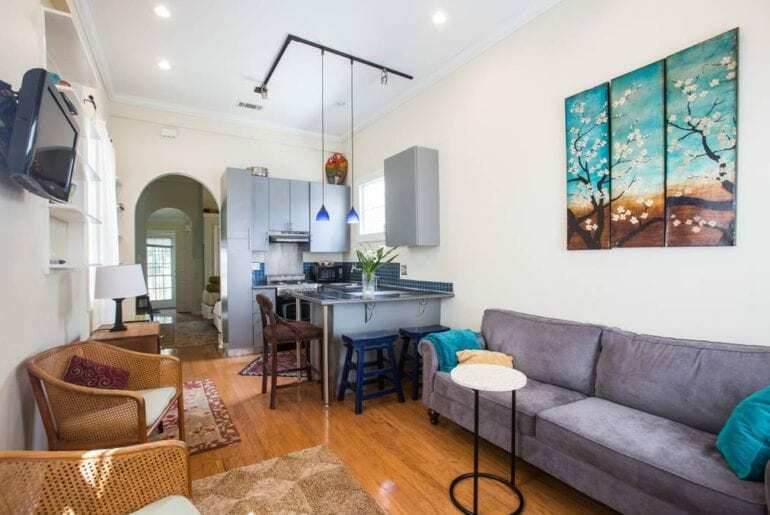 Just a few blocks away from Magazine Street, there are many shops, restaurants, and bars within walking distance. When it’s time to turn in for the night, you can recharge in the Jacuzzi tub or the private backyard. 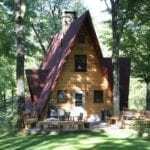 Rentals for this shotgun cottage start at $110 per night. Spend your evenings wandering the halls of this art-filled mansion or venture outside for Mardi Gras celebrations! 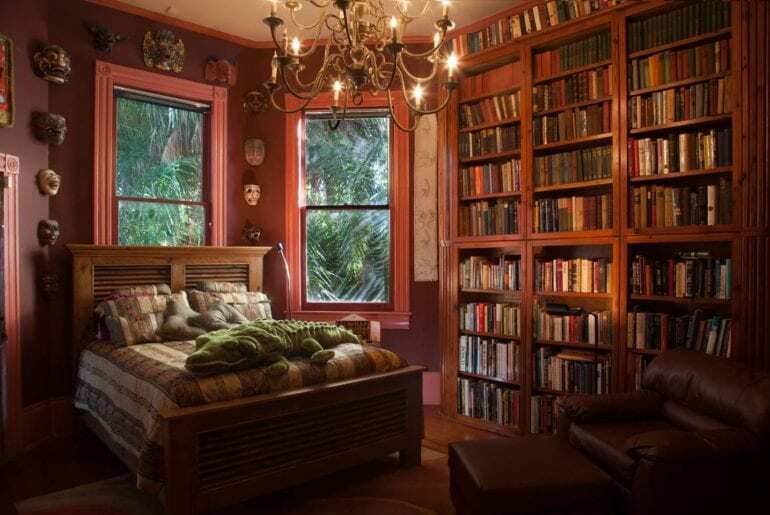 This room is called “The Library” and is a book-lovers dream! 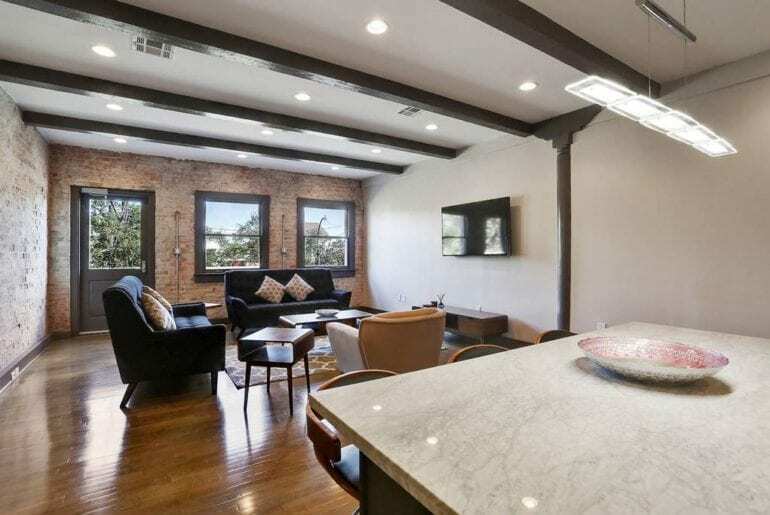 It includes a mini fridge, large private bathroom, and a private balcony. You’ll love spending time in the beautiful garden that surrounds a back porch and a full-size lap pool. Right nearby is Commander’s Palace, the St. Charles Avenue Streetcar line, and the shopping and dining pleasures of Magazine Street. Starting at $120 per night. This is a perfect two bedroom cottage in the heart of a bustling neighborhood starting at $195 per night. You’ll have access to the full private house along with a shared courtyard and pool. Just a short walk away is many of the local’s favorite restaurants and bars. 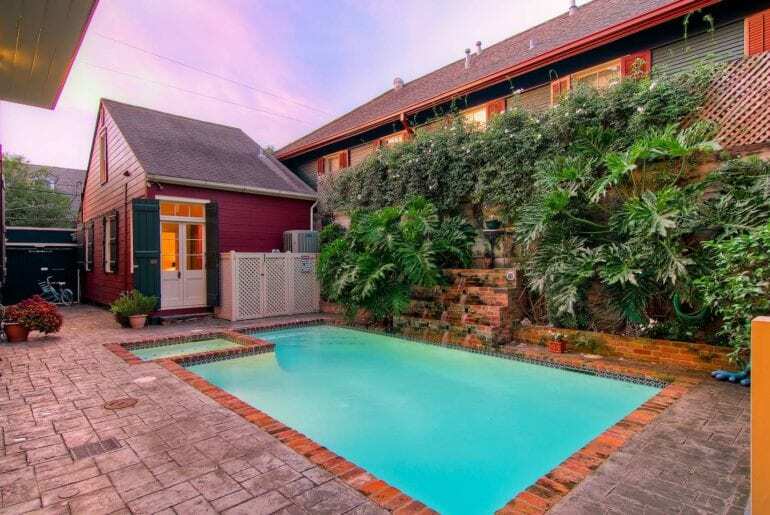 Known as one of the most colorful and desirable neighborhoods in New Orleans, Faubourg Marigny has a fun blend of colonial Spanish, French, and Caribbean styles. 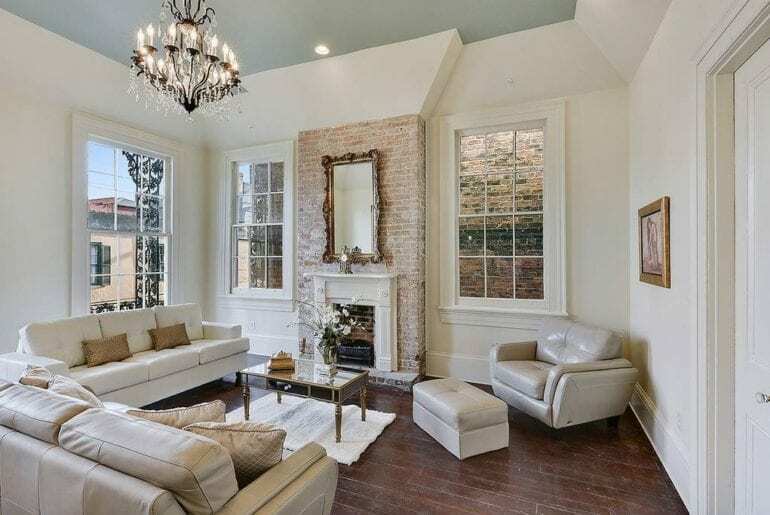 This stunning condo has a wrought-iron balcony overlooking Bourbon Street, a busy area perfect for people-watching. 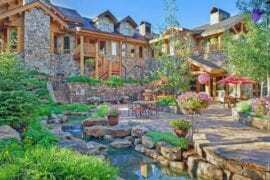 Inside there’s French chandeliers, a brick wall fireplace, marble bathrooms, and other incredible amenities. 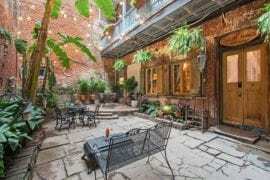 There’s a charming courtyard for enjoying evening cocktails or walk down to the Marigny bars! Rentals start at $105 per night. 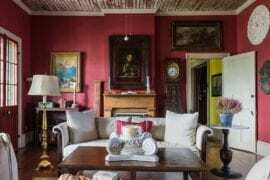 This spectacular home is a 100-year old building that was recently brought back to life with a modern twist. 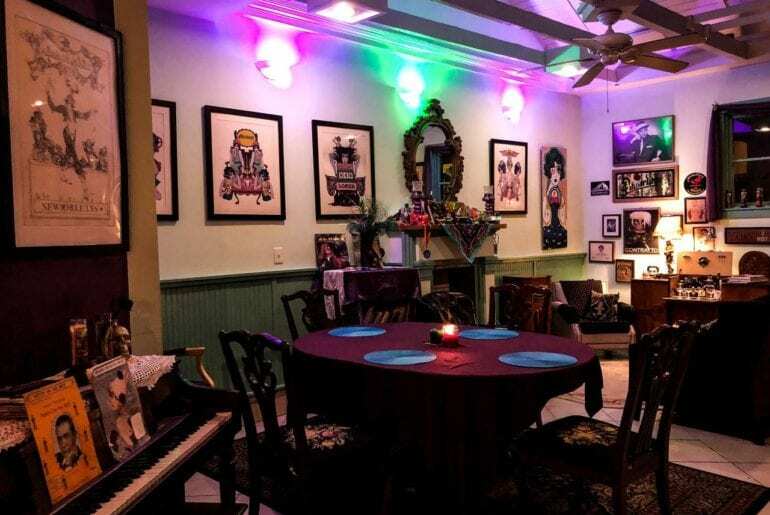 Located in the quiet Marigny Triangle neighborhood, you’ll have an ideal relaxing place to head home to after a long day of exploring New Orleans. There’s exceptional nightlife and delicious food nearby, so you can get the most out of your trip without having to spend the day traveling! Prices start at $106 per night.